Our Stour recently joined forces with Natural England to carry out a river clean up in the heart of Ashford. 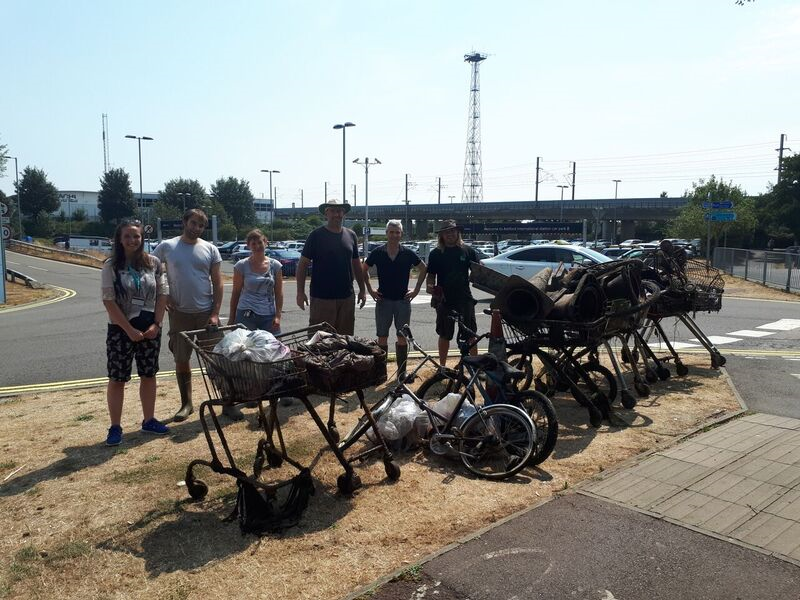 3 hours were spent in the removal of rubbish from the Great Stour river, focusing on the stretch from Ashford International to North Park. The rubbish mainly consisted of bottles and cans (approx. 250-300) traffic cones ( 10 ) and shopping trolleys ( 7). Bikes too, were numerous as well as more unusual items such as a fishing rod and a dog bed. A huge thank you to the newly named Stour Water Action Team ( S.W.A.T.) from Natural England and our own Stour River Warden Monica, – for all of their help!